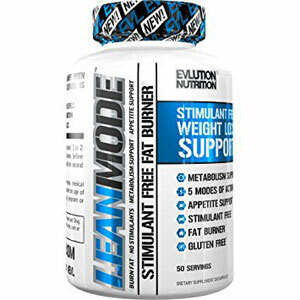 Lean Mode Review - Does this Stimulant Free Fat Burner Work? Looking for a stimulant free fat burner? LeanMode from Evlution Nutrition is certainly a popular choice at the moment, but does this formula really deliver results or is it just another placebo? It’s hard to see how good a stimulant free weight loss supplement will be because stimulants are great for burning fat, increasing energy for exercise and decreasing your appetite. However let’s see what else is in the formula first. Evolution Nutrition produces a line of sports supplements, in fact we have already reviewed their testosterone booster EVL Test and their other fat burner Trans4orm. As you can see this is a rather slim nutrient profile with only 5 ingredients included. Thankfully this is a non-proprietary blend so there are no surprises, we can see exactly how effective the formula is overall. There are only three effective ingredients out of the five included in LeanMode. In particular both the green coffee bean and green tea extract are both excellent thermogenics that should help support your fat burning goals. But why not include another proven thermogenic such as Cayenne Pepper? There is definite room for improvement here. Garcinia Cambogia is not a great appetite suppressant having very little effect if at all. We would have liked to seen something like Glucomannan which has actually been proven to work. This is not a good choice. Garcinia Cambogia is believed to suppress your appetite but unfortunately there is no solid supporting evidence that it actually works. Originally this nutrient was used to season food and help improve the flavor of the dish. By making the food more satisfying researchers believed it made you feel fuller for longer. The problem was that if you take this supplement without a meal for the sole purpose of appetite suppression it will not work, you will not curb any hunger cravings. So far there have been no studies done on humans to confirm the effectiveness of Garcinia Cambogia. A great choice, this is a potent thermogenic ideal for burning those extra calories. Packed with Chlorogenic Acid it helps to cut down the glucose in your liver which is your body’s main source of energy. With less glucose it forces your body to look for another energy source to use and that turns out be your stored fat cells. Essentially you are naturally burning more calories and more fat with no extra effort. This is a bad option for a fat burner. This nutrient is supposed to help promote stimulant free fat loss. The theory is that CLA influences certain receptors in the brain that stimulate fat loss. Essentially you are directly telling your body to burn more fat. However lots of studies have come back showing that it’s not nearly strong enough to make a significant difference to fat loss. You really won’t see any difference with this nutrient. This is one of the better amino acids which is good for energy and metabolism. There have been numerous studies to show that it helps promote energy levels, metabolism and in some cases focus. This should give you an energy kick in the gym and help you burn a few more calories. Effective dosages are between 500 and 2500mg so there is enough in LeanMode for you to experience the benefits. 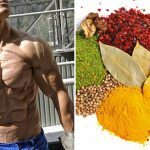 This herb is arguably the best natural fat burner on the market. This effective thermogenic It’s packed full of antioxidants known as catechins. Once absorbed these catechins will help promote the levels of the fat burning hormone norepinephrine in your body. The more norepinephrine you have in your system the more fat and calories you will burn throughout the day. Again this a great nutrient because it helps you get lean without any extra effort. In addition Green Tea contains L-Theanine and Caffeine which have been shown to improve focus and energy respectively. So even in this stimulant free fat burner there is some caffeine, the label does not say the green tea extract is decaffeinated. A serving size is 3 capsules which are to be take 1 to 2 times a day. There is a problem here however. The fewer the servings the less amount of time you will have for the ingredients to work. You want to remain in a fat burning state throughout the day. This is why the most effective fat burners require you to take 3 to 4 servings a day. There is also a powder version in a range of fruit flavors which has the same serving schedule of twice per day but you take a 5.1g scoop with 10-12 oz. of water instead of the pills. There are only 5 nutrients and so it’s a much slimmed down fat burner. Every ingredient used in the formula is completely natural and there are no reports or reasons for it to cause side effects. 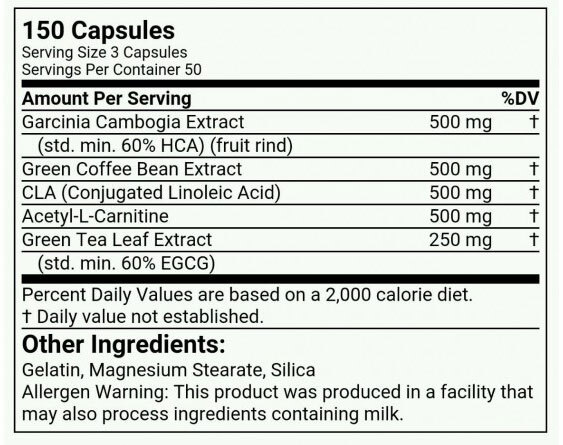 Unlike many supplements out there, Evlution Nutrition has listed all of the ingredients and dosages on the label. Green tea and green coffee bean are excellent thermogenics which means they have been proven to stimulate fat loss. Both ingredients have been thoroughly tested and backed up with scientific studies proving they can help burn extra calories and fat. Although stimulants work, because they boost your metabolism, burn more calories, give you more energy to exercise and decrease your appetite. Some people are very sensitive to caffeine and therefore this avoids the effects of jitters, energy crashes and sleeplessness. 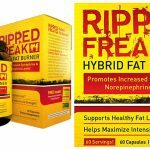 With this being a stimulant free fat burner you don’t need to worry about it overlapping with other supplements you might be taking. 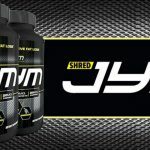 Currently for $22.99 you can buy 150 capsules on BodyBuilding.com which will last you 25 days using two servings a day. This is very affordable compared to some of the competition but then does only contain 5 ingredients. The most effective fat burners use 3-4 servings a day because it keeps thermogenesis consistent throughout the day. With only 2 servings you are not going to maximize your fat burning potential. Not every nutrient contained in LeanMode is backed up with a supporting clinical study. Garcinia Cambodia and Conjugated Linoleic Acid should have been replaced with something that is proven to promote fat loss. Needs more core ingredients to be one of the very best fat burners. Using a proven appetite suppressant like Glucomannan or adding another effective ingredient such as Cayenne Pepper would have made this formula better. What are people saying about LeanMode? 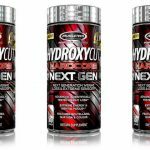 Although there are no customer testimonials on the official website we can find plenty of customer reviews on the big retail websites such as Bodybulding.com, Amazon and GNC. Most reviews are positive with 9.0/10 on BB.com. Clearly people enjoy the fact that LeanMode is stimulant free with no negative side effects and it’s convenient to take it any time of the day. However a lot of customers have said it has helped with suppressing their appetite; this is just a placebo effect however because Garcinia Cambogia has been proven ineffective when it comes to appetite suppression. Looking a little closer we can see more mixed feedback results when it comes to results. Many have claimed that they have stuck to a solid diet, maintained a regular exercise regime and still not lost any weight. At least we can say that if you don’t lose any weight you won’t have any side effects. So while many feel it does work, there are many for which it didn’t. I can appreciate that not everybody wants to take a stimulant in their fat burner. By doing so you completely avoid any side effects such as jitters, energy crashes and sleeplessness plus you can take it any time of the day. But removing most of the caffeine really does take away one of the best fat burning weapons you can have. The slimmed down nutrient profile could be greatly improved with another thermogenic such as cayenne pepper and a proven appetite suppressant such as glucomannan. 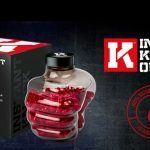 Overall this supplement should burn some fat, give you some extra energy, but it won’t help with appetite suppression. You are unlikely to notice much enhanced mood either. An average fat burner that could benefit from more using more ingredients that actually work in its nutrient profile. The dosage schedule is not very effective either. This could be an option for you if you want to avoid stimulants but don’t expect to get maximal weight loss results using this formula, there are certainly better option available. Hi james. What product do u suggest for minimal stimulant/ free stimulant fat burner? Hi Lorem thanks for your question. I would recommend LeanMode if you don’t want to take a fat burner containing stimulants. However I would say caffeine is highly effective when it comes to raising the body’s metabolism and increasing you’re your power output. Essentially you get better results overall with these types of products. Which is why the top rankings favor the fat burners that contain caffeine. Testosterone Boosters vs Steroids – Which Should You Choose?